The calligraphy, design and printing company was founded in Manhattan and is now based in Saratoga Springs. I learned cursive in third grade. Although it finally allowed me to decipher my mom’s loopy, connected lettering, it was an enormous inconvenience to my eight-year-old self. I had already mastered printing and, if the younger version of me did say so herself, I had the best handwriting in my class. Plus, I had just learned to type on one of my school’s shiny new laptops, which had cursive fonts built right into it, so what was the point? My generation—the youngest cohort of millennials—is the last generation to have learned cursive in grade school. With the initiation of the Common Core in 2009, cursive was bumped out of the third-grade curriculum. That means, in a few decades, less than half of the population will know cursive. But not if calligrapher Sara McCarthy has her way. “I promise my children will have the ability to write in cursive,” says the founder of Ink Revival, a calligraphy, design and printing company founded in Manhattan and now based in Saratoga Springs. 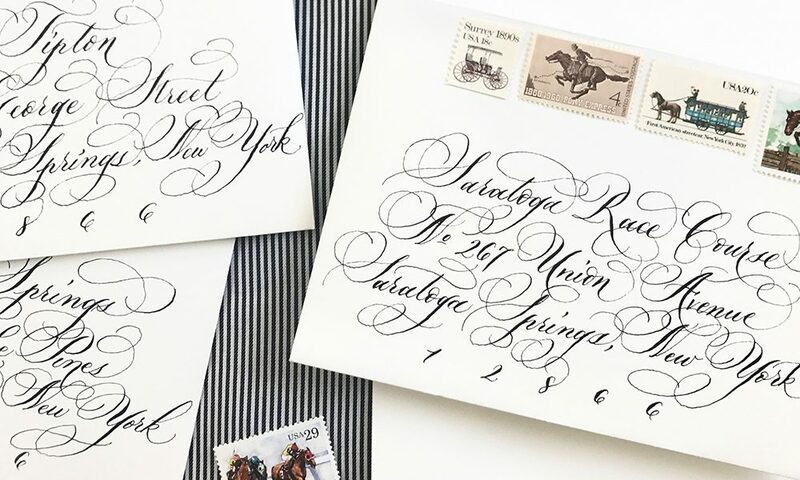 McCarthy and others like her are looping, flourishing and down-stroking calligraphy right back into the public eye (calligrapher Seb Lester’s Instagram videos average more than 100,000 views each). What may be at the heart of this sudden wave of nostalgia: the fact that calligraphy and the handwritten letter recall an earlier, simpler time. 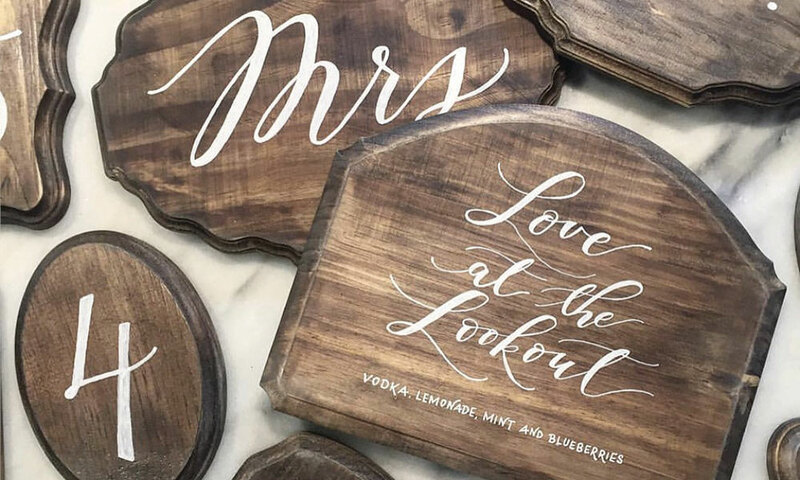 “It’s a romantic notion to have a handwritten address with a handmade invitation inside,” says McCarthy, who specializes in wedding invitations. “You basically live your life on your phone, and having a moment to take a break from that—it’s therapeutic.” She’s right; text messages and emails have succeeded in removing the humanity from our writing. With every place card, menu, page of custom stationery, logo and wall installation, McCarthy is helping to breathe life back into the art of writing. 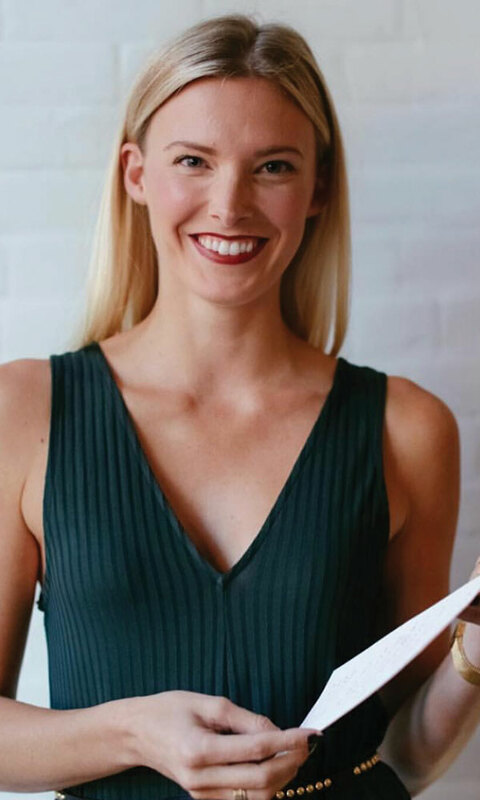 Her work has been featured everywhere from magazines such as Martha Stewart Weddings and Vogue to a Perrier-Jouët Mother’s Day brunch at the Geoffrey Zakarian restaurant, Georgie, in Beverly Hills, CA. Traditionally, calligraphy has connoted a style of writing that’s equal parts elegant, whimsical and age-old—like what you might find on an ancient Chinese scroll. But McCarthy sees it as having no boundaries. “Calligraphy can be anything you want it to be,” she says. “It’s not just one style.” Take a look at her portfolio, and you’ll see what she means: For a romantic black-tie gala in Manhattan, McCarthy chose straight lines with few flourishes on her invitations; for a summer wedding in Lake George, she used loose, flowing text, with added illustrations; and for a bat mitzvah at a Brooklyn skate park, she went for a geometric but feminine concept. So is the world experiencing a handwriting renaissance? “I think it is, 100 percent,” McCarthy says. “It’s booming right now.” The real question is: Will that boom last as we become less handwriting literate and more digitally reliant? Scrolling through the Ink Revival Instagram feed, past beautifully etched Christmas ornaments, elegant peach-and-navy table settings and hand-addressed burgundy valentines, I’m suddenly thankful that my eight-year-old self had to suffer through cursive. I really am.